HomeBlog Heard of glamping? Welcome to Wildernest! 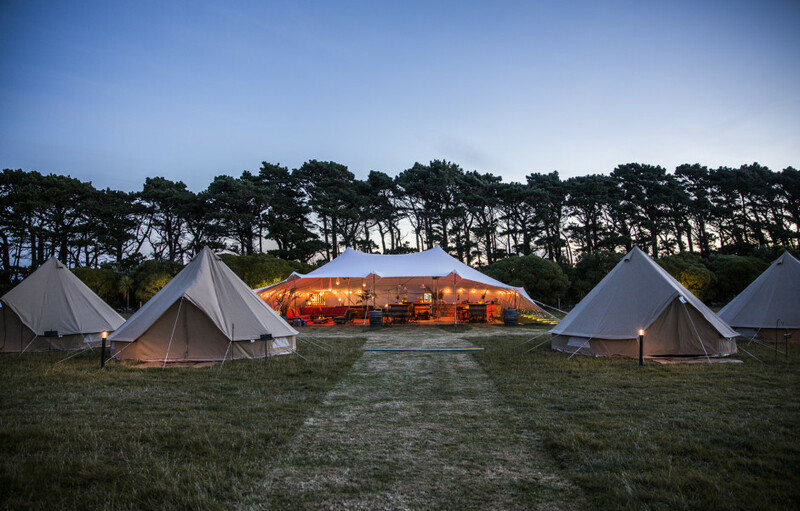 It’s camping with glamour, glamours camping or we like to call it luxury camping, enjoying the great outdoors while still having those comforts, it’s a perfect nights sleep in nature! 2: What do you love the most about the kind of work you do? There’s a few things I equally love about this work… I love giving people an amazing experience outside of their norm.Creating spaces into magical wonderlands that make lasting memories and connecting people comfortably back with nature, which so many of us forget how good it feels when there is nothing but nature around us. 3: What is the most challenging aspect of your job? The weather .. you never know what mother nature is going to bring, sometimes we have amazing seasons of consistent weather and others can be all over the place, which makes things a little more challenging but has never held us back! 4: How important is it to be organised in your business? Being organised is the key success of our business… We have a lot of gear in a large warehouse that requires good organisation and systems and these can only work smoothly if everything is in it’s place ready to go when we pack in and out from events, especially when we have tight timeframes and packing up to 5 containers at one time! Plus there is a huge amount of planning that requires seemless organisation in creating our Wildernest pop up Hotel. 5: What is your top tip for being organised? I have found for me that creating a clear mind, gives you that peace which allows you time to plan productively, be motivated and creative, and most of all brings happiness to both work and home life. My tip would be, to make ‘de-cluttering’ part of everyday life instead of letting it build up and doing it every few years. Keep a good practise of only holding onto material items that are of true value to you; it doesn’t take long before drawers, cupboards and shelves stack up with all sorts of bits and pieces… which then feels like a weight, creates stress and flows through into everything else. It’s an amazing experience, you can’t get much more closer to nature in total comfort. The adventures are endless! You can stay in remote spots with no one else at all around you or you can enjoy a music festival in total luxury! It’s eco friendly, it’s forefront in natural luxury accommodation that is kind to our planet.